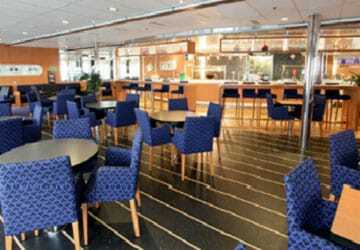 The Stena Adventurer superferry is a bright and spacious ship making it easy for you to travel in comfort, with all the onboard facilities at hand to make your journey as relaxing and fun as possible! 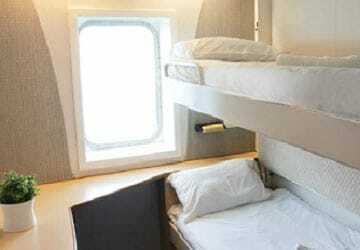 The Stena Adventurer features excellent value for money en-suite cabins with a choice of 1, 2 and 4 berth options available. 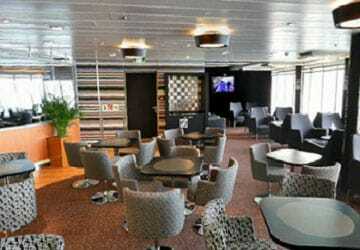 Stena Plus reserved seating is available in the 202 seat luxurious Stena Plus lounge at the front of the craft. 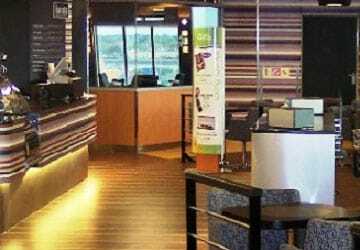 The Stena Plus option which can be pre-booked includes express boarding and disembarkation, or you may upgrade when onboard if space permits (lounge access only). The Metropolitan Grill is located towards the rear of the craft and serves a wide selection of tasty hot food, including fish & chips, pie & mash, pizza and jacket potato. A selection of kids, gluten free and vegetarian meals are also available. 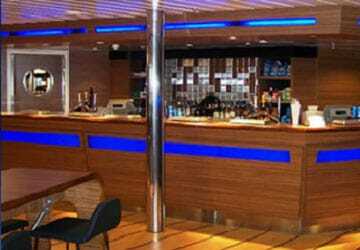 The Metropolitan bar is located at the back of the craft where there is plenty of seating and you can relax and watch the big screen tv! 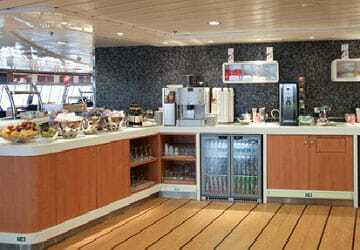 It also serves a range of continental beer and wines. 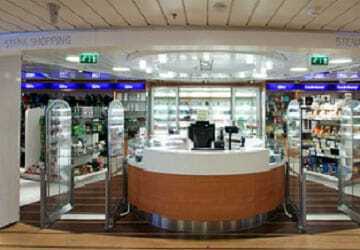 In the onboard shop you'll find quality products with a range of gifts, jewellery and fragrances with prices on average 50% cheaper than the high street. 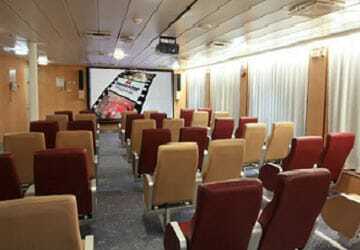 Free Movies are available in the cinema, there's free wifi, a bureau de change and television screens are dotted throughout the ship for your viewing pleasure. 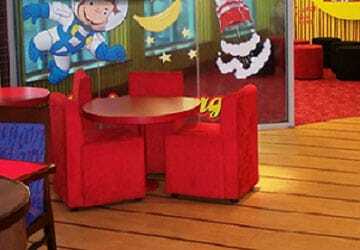 Stena Line have a themed childrens play area that provides a safe and fun environment for kids as well as 'Teen Town' which has the very latest in video game technology and internet stations. 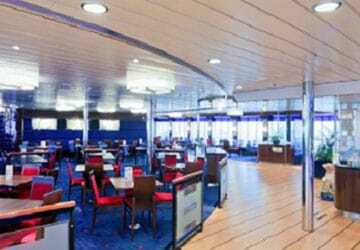 Full mobility access is available with lift access to all decks. Please Note: Whilst we have taken great care in making our Stena Adventurer guide as accurate as possible, onboard facilities, services and entertainment may vary depending on the date and time of year that you travel, facilities mentioned may change without notification and ferry companies reserve the right to operate vessels other than those mentioned at time of booking without prior notification. 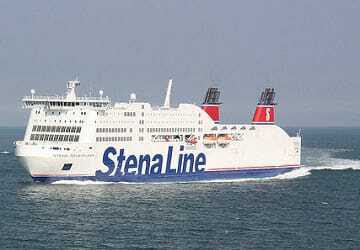 Travelled from Holyhead to Dublin. 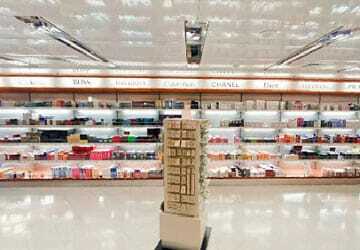 Consistent and punctual service. Comfortable journey. No complaints. 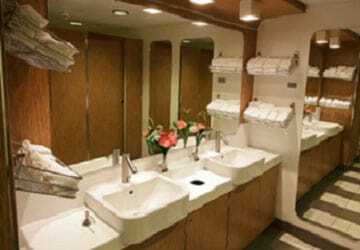 I was expecting an old, rickety ship, but I was extraordinarily impressed with the facilities. Great dining area, friendly staff, and ample amenities. For the price, you really couldn't ask for more. Keep up the great work. 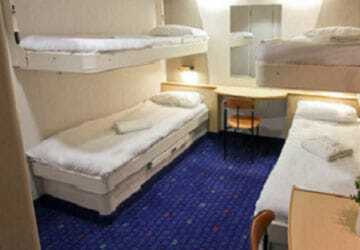 Check in was very slick, boat was clean and comfy, staff friendly and we arrived on-time. Excellent!